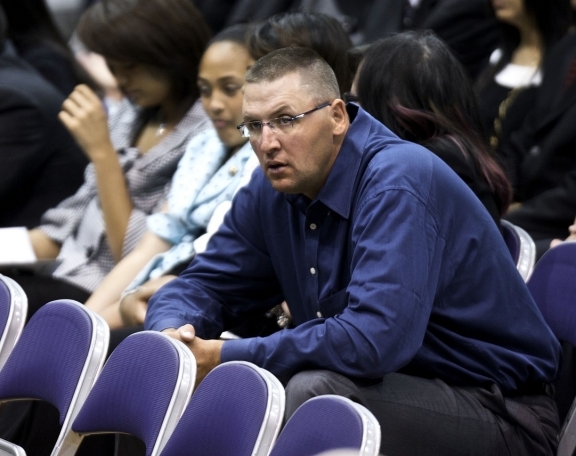 Greg Ostertag: "The basketball will come." Yep. He looks ready for NBA action. As long as he's watchingit from an easy chair. And not moving. Or breathing. Greg Ostertag is looking to make a return to the NBA. The former Jazz center, who retired from the game three years ago, was invited to work out for the Trail Blazers last week. "I just miss it," Ostertag told the Journal-World. "I've got nothing to lose." Portland is the only team that has entertained the idea of giving Ostertag a shot. "I did all right. I'm rusty. I'd not picked up a ball seriously in three years," added Ostertag. "I have some cobwebs. The more I play, the quicker I'll get it back. Now I'm trying to get in good shape and get stronger. The basketball will come." "Size, blocking shots and putbacks, setting screens, not letting anybody get easy layups," Ostertag said of what he can bring to the table. "Nobody ever put the ball in my hand and said, 'Go to work,'" Ostertag said of scoring. Ostertag, who made $48,251,390 during his days in the NBA, isn't money-motivated right now. He's been frugal with his earnings and is set for life financially. "The more I get into it, the more I want to play," Ostertag said. "I've been working hard since June to get weight off to where I can be productive. I'm in the mode I don't want to work this hard for nothing. I want to get my feet planted somewhere, get in veterans camp, and in the preseason maybe somebody will like what they see." Chris Emens, senior director of Octagon Basketball, an agency that represents Ostertag, believes his client can be an asset to the Blazers or any other NBA team. "Greg brings interior defense, rebounding, shot-blocking, playoff and championship-game experience and most importantly for teams in contention, he knows how to win," Emens said. Most NBA teams are expected to carry just 13 or 14 players this season because of budgetary concerns, instead of the maximum-allotted number of 15. "It depends if somebody has room," Ostertag said. "I'm not asking for 30 minutes, but give me a chance to compete for playing time, that's all. "If I don't make an NBA roster, I'll go back to what I was doing -- hunting, golfing, fishing," added Ostertag, who isn't interested in playing in Europe or the NBA Developmental League. My gut instinct is to say it's never gonna happen. But as someone recently said: limits, like fears, are often an illusion. So, personally speaking, my fingers are crossed. And now Greg Oden has to worry about a second white stiff stealing his PT. If Ostertag gets another chance in the NBA, he needs to do the press conference in front of a large Basketbawful flag, Patton-style. Kinda harsh calling Pryzbilla a stiff. He is big and white for sure and has no offense beyond the putback but he's an elite rebounder and shot-blocker. That said I could kinda see Ostertag being moderately effective as 6 fouls off the bench with no more than 2 or 3 minutes of PT per game if only because he is a genuine 7 feet, near 300 pounds and not much worse than the third string centers other teams throw out there. Hey....give some respect to the vanilla gorilla. Przybilla was probably the most reliable defender on the Blazers last year. I mean, Oden would breathe on a guy and get called for a foul. Surely you didn't refer to Pryzbilla as a stiff? You know if Greg Oden was actually good then he wouldn't have to worry about his playing time. So far I'd say the Vanilla Godzilla has done a much better job in the middle then Oden. 2nd white stiff? Are you talking about Ghostface Pryzbilla? GFP's not great but he's a solid back-up. Hey, relax everybody. I call Joel the Vanilla Godzilla for a reason. The guy's a monster on the boards. The comment was snarky and in relation to the superstardom Oden was supposed to be capable of. Haha, unintentionally, the funniest part of this post wasn't about Ostertag's legendary bawfulness, but the reaction of all these comments defending the Vanilla Godzilla. How can comeback be mentioned without this name!? I respect the fact that Ostertag didn't blow through his money two years after retirement like a lot of other former players. It doesn't change the fact that he's a big fat doofus though. 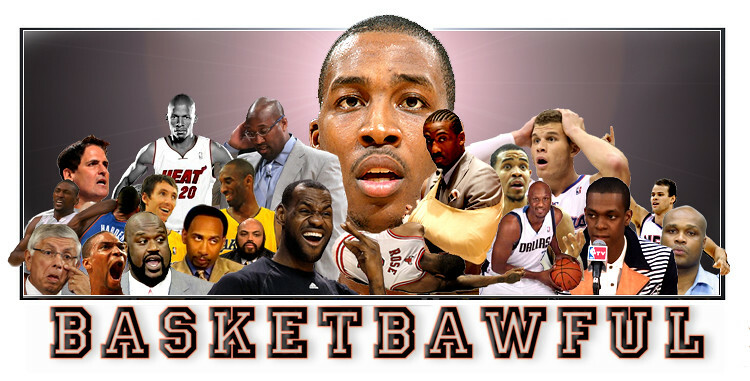 Someone has to email this to Greg Oden. You know you're bad when people are requesting Joel Pryzbilla to get more playing time then you. Did somebody say "white stiff?" I will give Ostertag one thing though. He had a better career than Montross. Kinda surprising considering how they did in college. Obviously, he's coming back just for Bawful. How about this fun stat about Vanilla Godzilla? Only 2 of 6 posters were even able to spell his name right. Ah crap I just realized the Kings would sign the Big Stiff. "Steve McNair's Persian Mistress said..."
Get back in the grave! "I will give Ostertag one thing though. He had a better career than Montross." Did he? Well, did he, so much so that it deserves any note? What Ostertag really did better than Montross was be fortunate enough to stand on the court with Stockton and Malone in the same uniform and manage not to fall into the side of either one of those guys knees. I bet Jerry Sloan's head explodes when he reads that O-Tag "really misses basketball." My impression has always been that Sloan would have killed for an Ostertag that was even mildly interested in playing ball. ...I'll actually be up for watching it, for the comedy value. I WOULD say "watch him lead the purple paupers to another lottery pick!" but Ostertag, IIRC, has never missed the playoffs at any point in his strange career in the Association. chris: That's so false. That has to be false. 30 seconds on basketball-reference, O-Tag and the Jazz missed the playoffs in 2003-04 and 2005-06. Someone needs to tell Ostertag that you had to be in shape to begin with to get back in shape. If there's a place in this league for the Collins brothers, then he's got a shot. I recall an interview after his last game where he was very proud that he never had a losing season. The Jazz went 42-40 in 2003-04 and 41-41 in 2005-06, missing the playoffs both years. Tag was in Sacramento in 2004-05 when the Jazz went 26-56. Ostertag's jowels look strangely like Jerry Sloan's. But, you know, Sloan is 30 years older and has held down an incredibly stressful job for decades. Wormboy: I think being the posterboy of Basketbawful comes with its own stresses...like how to upstage Starbury/Ron-Ron/His Airness/Rashad McCants' poetry on a daily basis. CassavaLeaf - Oden will never, EVER compare to Mark Eaton. That beard was awesome! And will Oden ever do anything as awesome as this?! it's a shame that Eaton is a better player than Oden but that what he gets for leaving 'nap town and heading to Columbus without ever giving West Laf a sniff.